NASA astronaut Scott Kelly will touch down in Kazakhstan late Tuesday night after 340 days in space, a record for an American astronaut. 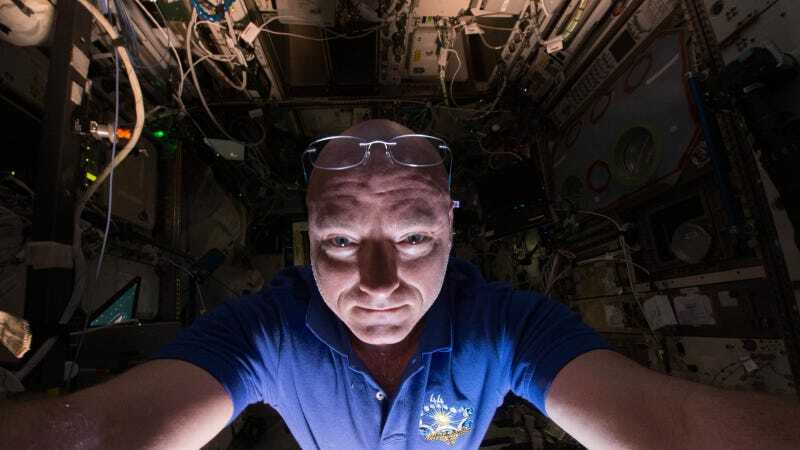 While Scott has been occupying the International Space Station, his identical twin brother Mark Kelly, a retired astronaut, has been anxiously anticipating his return—and not just because he wants him safe and sound back home. The two have big plans to study how space alters the body and the mind. With very few genetic differences, the Kelly brothers offer a unique opportunity for science. With more ambitious space travel planned for the coming decades, understanding how microgravity—the condition in which people or objects appear to be weightless—impacts humans over long durations is an extremely important element in the success of these missions, which could require several years in space. So after Scott travels to Houston, gives some interviews, undergoes a plethora of scientific checks, and goes home to jump in his pool, he and his brother will start providing data to scientists for up to a year as part of the Twins Study. According to NASA, the Kellys offer the chance to study the "effects of spaceflight at a molecular level…enabling researchers to focus on a near-identical comparison of the brothers’ genomics and omics profiles, something never captured before in human space research." This image was lost some time after publication.NASA Astronaut Scott Kelly, left, and his identical twin brother Mark Kelly, pose for a photograph Thursday, March 26, 2015 at the Cosmonaut Hotel in Baikonur, Kazakhstan. John Charles, chief scientist of the NASA Human Research Program, said "the post-flight data are as important as the inflight data to help us learn how to send humans safely to Mars and return them safely to Earth." NASA has over a decade of space station data on how being in space impacts the human body for six-month missions. Charles said they would be happy to see no significant differences between the six-month trips and year-long sojourns, but he doubts that will be the case. "The longer a human is in space, the more that individual is exposed to risks such as radiation and weightlessness," he said. "Our integrated team of researchers are addressing those risks to create countermeasures to enable more advanced space travel." While 90% of Earth's gravity reaches the space station, objects appear to float there—regardless of their weight—because they are in free fall at the same rate. This is referred to as microgravity. As NASA puts it, the space station, "its crew and any objects aboard are all falling toward but around Earth. Since they are all falling together, the crew and objects appear to float when compared with the spacecraft." When in space, astronauts have to work out for around two hours a day to counteract the muscular atrophy that occurs when the body is no longer subject to regular weight-bearing activities, such as walking. Even with this intensive effort and other supplemental vitamins, astronauts lose an average of 1.5% of their bone mass per month in space. There's also the issue of bodily fluids redistributing all over the body rather than being pulled down towards the ground. Aside from giving those in space the puffy "moon face", there could be long-term negative side effects associated with the shift in fluids, such as nearsightedness, which could potentially happen due to additional pressure on the optic nerve. Being an astronaut is a dangerous endeavor, and Scott's record-setting voyage is an inspiration to future generations, not least of all those that might dream of traveling to space themselves one day. As Scott's brother Mark put it in 2015: “We need to figure out how people are going to live in space for really long periods of time. Especially if we want to send somebody to Mars or maybe we want to build a base on the moon."